Kia ora whanau! We’ve got some important events coming up for our Rongomaites. 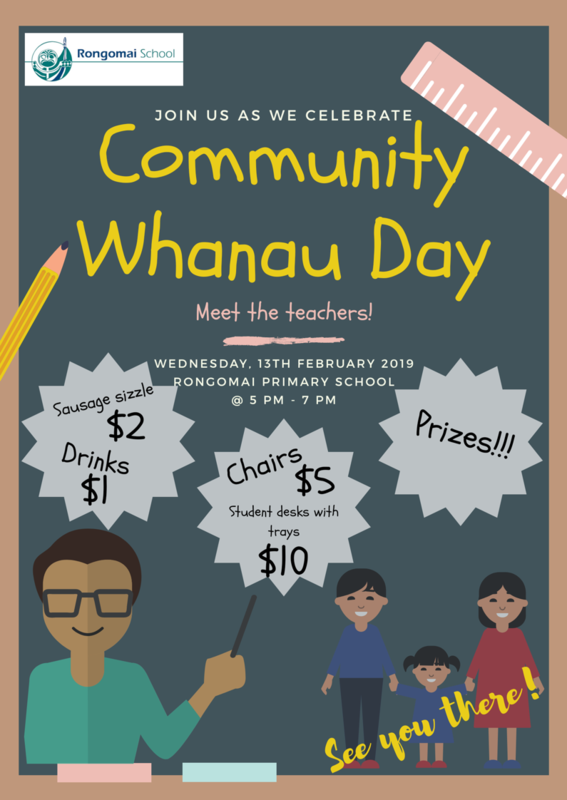 Weds 13th Feb: Whanau Day from 5-7pm. Food, fun, prizes, sports, music and furniture sales. 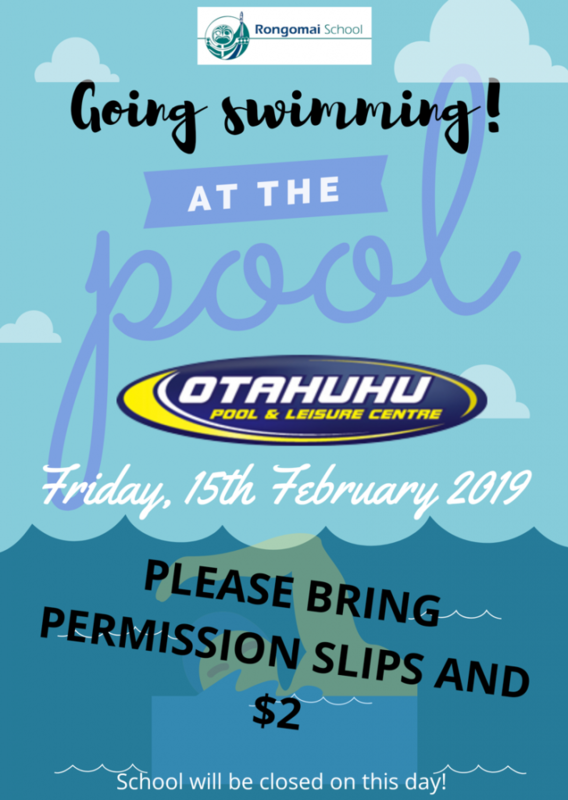 Fri 15th Feb: Whole school trip to Otahuhu Pools – $2 per child. Fri 15th Mar: Whole school trip to ASB Polyfest.